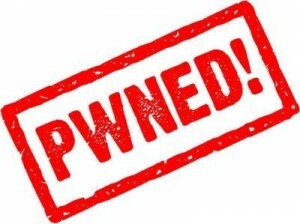 Pwnagetool; Sn0wBreeze Untethered Jailbreaks Released | Johns iPhone | iPhone Blog with Help, News, Tutorials, Tricks, Tips, and More! It seems with iOS 4.3 looming on the horizon, that The Chronic-Dev Team, iPhone-Dev team, and iH8Sn0w have all been working together to get their untethered jailbreaks released and stable for the iPhone, iPod Touch, and iPad. It seems that The iPhone-Dev team and iH8Sn0w were working fairly close together to release their jailbreaks today, as they were released an hour apart earlier today. With [Chronic Dev Team's] permission, we’ve incorporated their 4.2.1 “feedface” untether into today’s PwnageTool 4.2. This means iPhone unlockers can safely restore to a custom 4.2.1 pre-jailbroken IPSW and retain their current baseband and unlock. PwnageTool also includes two very recent improvements to the 4.2.1 JB: iBooks was just fixed by @comex and @pushfix last night so that it works as intended on DRMed books, and the wifi problem on AppleTV 2G was fixed by @nitotv, @DHowett, and @saurik. Both of these fixes will also be available in upcoming Cydia package updates, so if you’re already jailbroken you can wait for those updates rather than restore and jailbreak again. So if you your jailbreak of preference is PwnageTool, you can download (Mac only!!) it at the Dev-Team’s blog, or look for a mirror site. Sn0wBreeze, which was released today by iH8Sn0w, is for windows OS only. As with PwnageTool, you will be able to safely update to the latest (iOS 4.2) firmware, and preserve your baseband to unlock. If you are looking to jailbreak with Sn0wBreeze, there are several mirrors available, simply Google it. So, who are you loyal to? Do you prefer The Chronic-Devs jailbreaks? Or are you more loyal to The iPhone-Dev Team? Are you glad Sn0wBreeze is updated? Let us know! can you do a tutorial? please please pretty please!